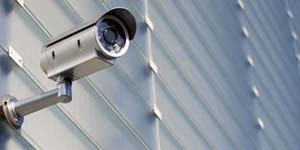 Video surveillance systems are the fundamental building block of any good security system. Digital recording allows you to document events and can provide a level of organizational awareness and control that was previously unimaginable. Video surveillance improves security and safety, and is used today in sectors ranging from retail to industrial complexes and other types of buildings. At Novius, we offer the security industry's broadest and most respected offering of IP and analog video security systems. From megapixel and integrated positioning systems to video management and software. We understand the personalized security needs of our customers and strive to provide them with the highest quality products and services to suit these needs. With our continuous initiatives, Novius Services makes sure that we are on the cutting edge of video surveillance solutions that meet the most demanding of customer requirements. Our range of products covers any surveillance need with cameras, fully customizable surveillance monitoring software, IP network solutions, and both embedded digital video recorders (DVR’s) and mobile / harsh environment DVR’s. CCTV equipment is often used to watch parts of the premises from a control room, many factories that deal with hazardous materials or gasses install CCTV in order to keep workers safe and to ensure their work activities. Health & Social Clubs, Transportation, Offices, Government, Hospitality, Construction and Industrial - the list is endless. Further, CCTV is becoming increasingly more common in a domestic situation. In an analogue system, an video camera transmits signals via coaxial cable to a single central location for monitoring, recording, and video analysis. New technologies and products offer advanced functionality and superior system performance. The technology is tried and true, and there are CCTV camera models for virtually any surveillance application. Analogue product line-up includes fixed box, fixed dome, PTZ and vandal-resistant models. It's important to note that analogue CCTV solutions can still be highly effective for many surveillance applications, especially those on a budget. In an IP surveillance system, an IP camera records video footage and the resulting content is distributed over an IP (Internet protocol) network. Improved search, computation, editing capability. Greater ease of use- anyone on the network can potentially see video. When Wireless is the only alternative. Fixed Cameras: Good security cameras produce good images and vice versa. Fixed camera represents the best choice in applications where it is advantageous to make the camera very visible. Fixed cameras can be installed in housings designed for indoor or outdoor installation. Speed Dome Cameras: Speed Dome Cameras are usually known as PTZ (Pan, Tilt, and Zoom) Camera. It means these type of cameras can move side to side (pan), up and down (tilt), and zoom in and out (zoom). These cameras are controlled either by a remote control, joystick, or computer software. Network Video Recorders (NVR) / Digital Video Recorders (DVR): This equipment is used to record all video activities shown in CCTV, it can be for a period of time or used to record the event continuously depending upon the requirement. Monitors: Novius services will provide you wide ranges of monitors like Television, CCTV Monitor, PC, and LCD Monitor. Lens: We have a wide selection of CCTV lenses to choose from. Whether you are looking for high end security camera lens or a standard CCTV lens you will find them all here. Picture Quality: In analogue systems, TVL (Television Lines) are the number of horizontal lines produced by a security camera and is a measure of picture resolution or sharpness. The higher the TVL, the better the image quality. Cabling: Cabling is used to connect a CCTV camera. Wireless via a 2.4 GHz analogue or Local Area Network - This method can be prone to interference and can only work for up to four cameras. Using traditional copper wire - the most common way of connecting a CCTV camera. Usually Video Coaxial cabling that is pre-terminated and ready to use or RG6 which will need to be crimped at the ends. Or finally using Cat5 network cabling to transmit data over a Local Area Network/Internet. UTP Cabling is both in expensive and ideal for transmission of video signal up to 1350m. Fiber Optic Cable is suitable for more than 1 Kilometer. Accessories: Brackets are used to mount the camera and Housings are used for covering the camera. Housing is mainly used for outdoor applications. If you are looking to install a security surveillance system at your location, one of the decisions you have to make is whether to go with an IP or analog camera. Deciding on IP versus analog cameras is not necessarily a simple decision as there are advantages and disadvantages to each style of camera. We will explore some of these differences more in-depth so you can determine which option is right for you. The main difference between the two camera types is the way in which the video signal is delivered. Analog cameras turn the images into a composite video signal that can be received by a television/monitor or recorded on a VCR or DVR (Digital Video Recorder). An IP-based camera, also known as an IP network camera, digitizes the video signal using a specialized encoder that contains an onboard web server. This allows the IP camera to act as a network device, thus allowing captured video images to be viewed not only through an existing network but also through a web browser that can be accessed through the Internet. IP cameras are recorded on a NVR (Network Video Recorder) which is attached to the network. Both analog and IP-based video cameras can transmit signals either wirelessly or through wired connections such as Cat-5 cables. IP-based cameras have the added benefit of being able to use switches, hubs, routers, or even the internet to allow the network to be expanded to far-reaching locations. In order to determine which style camera system is best suited to your needs, let's take a closer look at some of the pros and cons of each style. IP cameras excel in capturing high definition, megapixel images but have trouble with low lighting conditions. Dropped frames and video artifacts are commonly seen in IP CMOS cameras. Analog CCD cameras perform well across a variety of lighting conditions and manage motion well. Analog cameras do not have capabilities above the NTSC/PAL standards. As analog compresses the video in the DVR there are more hardware and software resources available to provide increased video quality and frame rate. IP traffic, like Voice-Over-Internet (VoIP), is subject to a myriad of potential faults, such as: bandwidth limitations, network congestion, varying bit rates, large file sizes, load balancing, viruses and latency. If the network fails, even momentarily, the recorded or monitored video will cease or degrade. Analog video traffic is not subject to any networking issues or risks. The bandwidth is virtually unlimited. It is a passive connection, similar to an analog telephone connection, and cannot be interfered with due to problems external to the video surveillance system. IP video streams can be encrypted and are difficult to intercept. On the other hand, the network itself is subject to viruses and other types of attacks. Since each camera (and there could be 1000’s of them in a single system) and the devices which it communicates with are network appliances, they are all subject to attack from hackers from anywhere in the world. Analog signals are less secure and can be intercepted and/or viewed by anyone with access to the cabling infrastructure. With the possible exception of the DVR, the entire video surveillance chain is immune to viruses and other types of software attacks. In order to access, or interfere with, any part of the video system other than the recording devices attached to the network, a hacker or intruder would have to physically access the specific device being tampered with. One of the clear advantages of IP cameras is the flexibility to integrate with a wireless network. Whereas wireless IP is “virtually” unlimited in terms of expansion, bandwidth and the topology is still a concern. Analog cameras which use radio frequencies to transmit video wirelessly are limited to about a dozen cameras before it reaches capacity in the unlicensed spectrum. IP cameras require a network video recorder (NVR) or browser that will communicate with each particular model of camera, which is proprietary and unique. Each time you add an IP camera, you have to make sure that the NVR supports that particular model. An NVR may also support only a limited number of cameras from a particular manufacturer. Many IP camera producers have a large variety of communication protocols. Any analog camera can plug into any DVR. There are no compatibility issues when changing either the DVR or any of the cameras. As a note, many DVRs today are hybrids wherein they have seamless communication and management with both IP and analog cameras on a common software interface. While IP cameras have been around for more than a decade, they still only represent 15% of the overall CCTV camera market. IP cameras are technologically immature and have a long way to go. Today’s models will be quickly replaced by higher quality, more efficient, featurerich, less expensive and more reliable products. Analog cameras are stable and mature and have a well defined history and roadmap and purpose. Analog cameras will continue to make more sense in most applications as indicated by its continued market share dominance. One of the advantages of IP is its ability to simply add on cameras by plugging into any network connection. When scaling an IP camera system to an enterprise level there is a requirement for substantial managed networking equipment and significant bandwidth. Analog cameras can be virtually expanded as there is no requirement for bandwidth or data transmission between the cameras and the recorders. Since analog cameras do not require bandwidth they can exponentially scale with minimal network concerns as they are plugged directly into the DVR bypassing network transmission. Since an IP camera is a network in itself connected to the Internet, you can remotely view it from any Internet capable computer or even a smart phone. While some advanced CCTV cameras can be connected to the Net, the images are far from perfect because of the analog nature of the cameras. IP cameras have built-in two-way audio systems, alarm management, image adjustment, facial and license plate recognition, motion activation and other scalable enhancements that traditional analog cameras don’t have. As with any imaging device, the analog CCTV camera has a sensor which captures the video image. The resolution of the sensor varies but for reasons which will be described later, it is limited to 720×575. This is 720 pixels across the screen (horizontal resolution) and 575 up and down (vertical resolution). The video is captured at 60 intervals called “fields” and transmitted to the receiver. Two fields together are called a “frame.” This is called interlaced transmission. To get the video out of the CCTV camera into a recording and display device, a single coax cable is used. To maintain compatibility with analog televisions (and hence make it easier to use off the shelf products for display and recording), the signal that comes out of the camera complies with broadcast television standards. There are two popular analog standards in the world for television: NTSC (e.g. as used in North America and Japan) and PAL (used in many other countries, especially in Europe). There is also SECAM but it is not a common standard in CCTV world. First thing to understand about NTSC or PAL is that the number of horizontal lines that make up the picture (i.e. the vertical resolution) is fixed by the specific standard. Let me repeat this again: the number of lines is fixed and every source must transmit that many lines to be compliant with the standard. 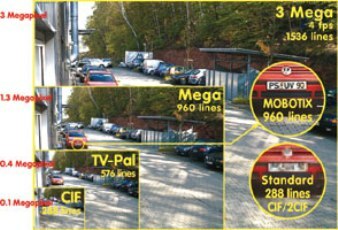 As a result, when you see a specifications for the number of lines a CCTV camera has, it does NOT refer to vertical resolution which is capped by the standard. Lower cost -- Analog cameras generally cost less to purchase than IP cameras. Greater flexibility of design -- Analog cameras often come in a larger variety of designs such as mini covert cameras to large PTZ models. If you have unique surveillance needs you may find it easier to find the style of camera you need in an analog model. Superior compatibility -- It is much easier to mix and match cameras and brands if you use analog versions. This can make it easier if you already have existing camera equipment that you wish to incorporate into your surveillance system. Lack certain features -- Many of the basic analog cameras often lack some of the more advance features such as digital zoom. Potential interference problems -- If you are installing a wireless surveillance system, analog systems can have interference problems. More importantly, the resulting signals cannot be encrypted. This can potentially mean that someone else can view the signal. Long distance applications are more difficult -- If your surveillance needs encompass a wide area, analog cameras may not be your best choice. Analog cameras generally do not accommodate big distances, and getting them to work over broad ranges can be difficult. Video signal conversion and transmission -- Analog cameras take the digital image that is captured and convert it to an analog signal in order to transmit it to the viewing/recording equipment where it is often then converted back to a digital format to be recorded. There is a reduction in quality due to this conversion process and the loss incurred in the transmission. The fact that the camera uses IP for transmission is not very important. What is important that we are no longer bound by the broadcast standard. In theory, we could now have any resolution we wanted. You could as easily envision a camera with 10,000x2x000 pixels as you can 800×800. Greater Resolution -- This is one of the most important advantages to IP cameras. Most have an image resolution that is a minimum of four times greater than that offered by analog cameras. HD images are possible with cameras that are able to deliver resolutions of 3, 5, 8 megapixel and beyond. This often allows one IP camera to take the place of several analog cameras and can have the effect of delivering a far superior product at a reduced cost. Better wireless reception -- IP cameras have encryption built right into them providing for a more secure network. Many options exist for transmission including point-to-point, point-to-multipoint, and mesh. Interference can be minimized with some IP-based radios. Can utilize existing wiring -- Because IP-based cameras act as their own network device, you can often take advantage of existing network wiring within your location. This can make the installation task much easier. Remote access can be easier -- IP cameras are better suited for some remote surveillance needs. There can be greater flexibility in how the video is accessed. Pure digital transmission -- Because the IP camera solution utilizes a digital format from capture to recording, there is no loss of quality in conversion or transmission as with an analog camera. Higher cost -- Because of the additional technology that is built into each camera, the cost of individual IP cameras is generally higher than analog versions. This gap is narrowing, however. 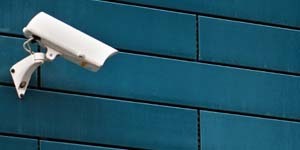 Higher bandwidth required -- IP cameras will require bandwidth on your network that is not required with analog cameras. This can be reduced by taking advantage of some of the newer compression formats and technology that is available in the cameras. Given the pros and cons of each camera type, the decision really comes down to your specific surveillance needs. The good news is, with products such as video encoders and hybrid recorders, analog and IP cameras can be combined within the same system to allow you to take advantage of both technologies. With an accurate assessment of your needs, the decision of which camera type to go with will become much easier.